Meghan, Duchess of Sussex, reveals new solo project … a cookbook! The cookbook idea emerged after the duchess began making private visits to the Grenfell Tower communal kitchen in January. Meghan, the Duchess of Sussex, has helped launch a new charity cookbook featuring dishes shared by families whose homes were affected by last year’s fire at the Grenfell Tower in London. The duchess wrote the foreword for the book, which celebrates meals served up from a community kitchen that emerged in the aftermath of the June 2017 tragedy. The cookbook is her first solo project since formally joining the royal family. 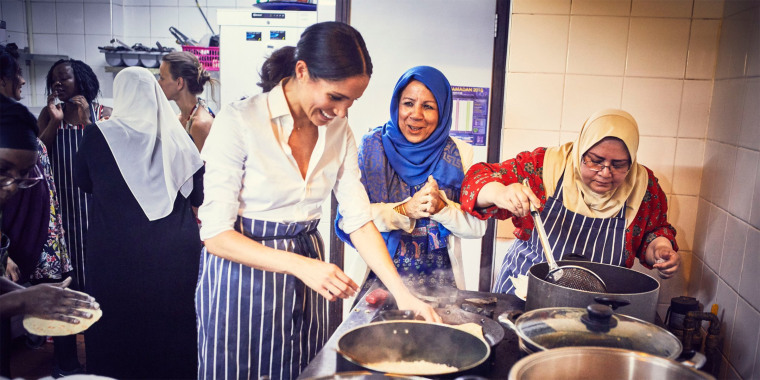 Since January, the Duchess of Sussex has been paying regular private visits to the communal kitchen at the Al Manaar Muslim Cultural Heritage Center, where women whose homes were affected by the fire began preparing meals for their families and neighbors. 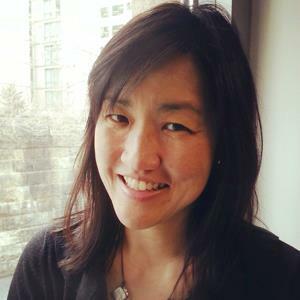 “As they cooked together and shared recipes, as a community they began to connect, heal and look forward. Word spread and more women joined in — this was the start of the Hubb Community Kitchen,” Kensington Palace said in a social media post promoting the book. As the duchess worked with the women, the idea of a cookbook surfaced as a way to keep the kitchen open seven days a week and expand its reach within the community. Proceeds from “Together: Our Community Cookbook” will allow the kitchen “to thrive and keep the global spirit of community alive,” the palace said. In addition to writing the book’s foreword, the duchess, who formerly ran a lifestyle blog that included extensive features on food and cooking, also narrated a promotional video for the project that the palace featured on social media. “Like these women I’m passionate about food and cooking as a way of strengthening communities,” she says in the video. "Our kitchen has always been a place of good food, love, support and friendship. We cook the recipes we’ve grown up with,” they wrote. "Swapping family recipes and moments of laughter gave us a sense of normality and home. We named ourselves the Hubb Community Kitchen to celebrate the thing that we all feel every time we meet — hubb means love in Arabic." The cookbook already received praise from Meghan's friend, Serena Williams, who posted a photo of the book's cover on her Instagram page. "It’s beautiful — diversity, inclusivity, coming together in grief or joy — there is just so much love," wrote the tennis superstar, who expressed pride in her friend's new project. "I could not be more excited about it and proud of you."